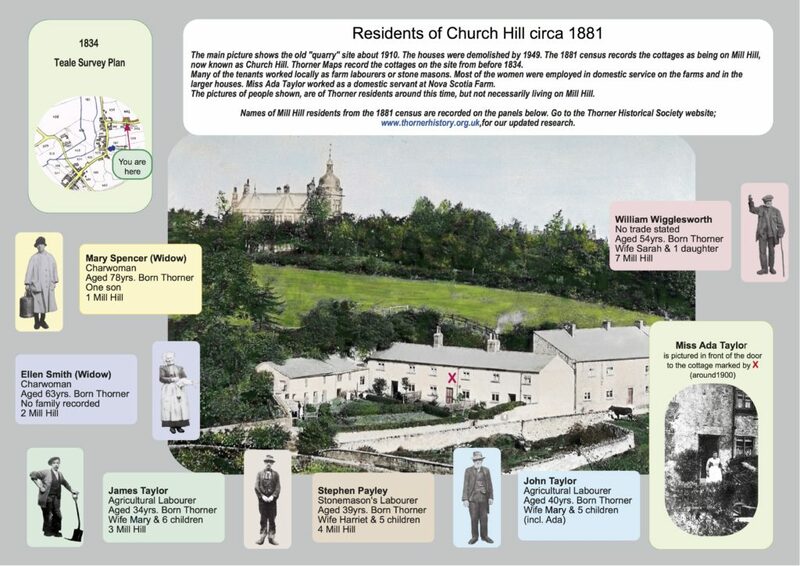 The picture below is a draft of the THS sign for Church Hill. Currently the Quarry Group have displayed their own version. The photograph depicts how the cottages looked prior to about 1949 when they were demolished.